LASPNET PARTNERS WITH AVOCATS SANS FRONTIERES TO TRAIN LEGAL AID LAWYERS ON BUSINESS, HUMAN RIGHTS AND CORPORATE ACCOUNTABILITY. On the 30th and 31st January 2019, Avocats Sans Frontieres in partnership with LASPNET convened a training for Legal Aid Service Provider advocates on business, human rights and corporate accountability at Esella Country Hotel. 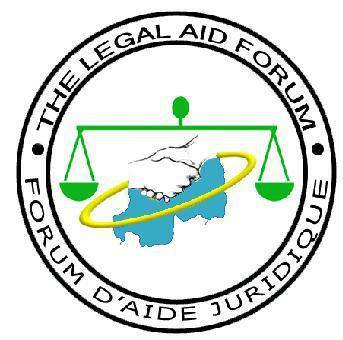 The Legal Aid Service Providers Network (LASPNET) is a national member NGO established in 2004 to provide strategic linkages and a collaboration framework for the Legal Aid Service Providers and maintain a common front to interface with various actors in the Justice, Law and Order Sector in Uganda. It targets three critical aspects of coordination: a collective role bringing together different LASPs for solidarity in strategizing, sharing lessons and experiences, while minimizing duplication; capacitating them through collaborative research and analysis ; as well as documenting, providing needed feedback, and amplifying voice on key issues regarding access to justice/legal aid at regional, national or international level.